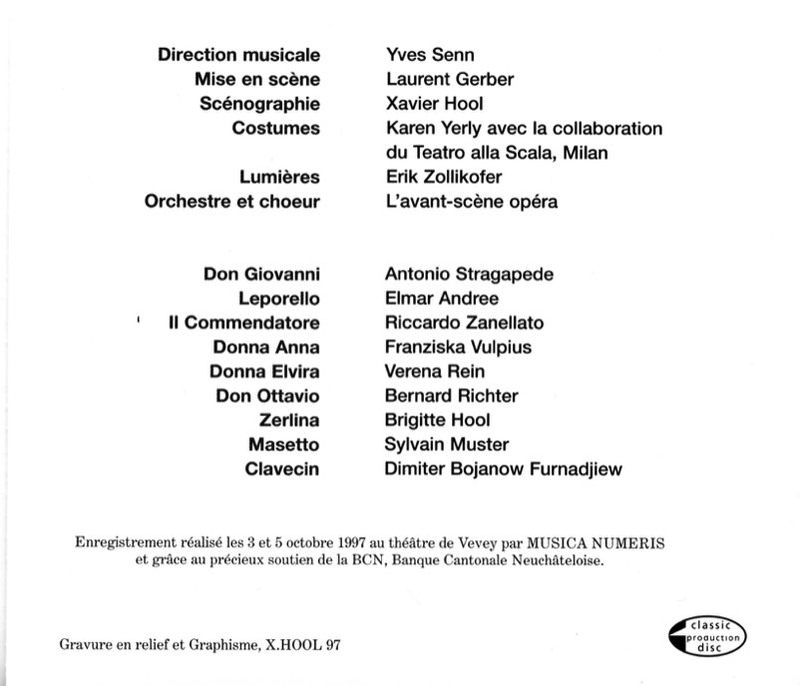 January 17, 2007: CD presentation on Radio Bremen in its "Klassik.Vokal" feature series on French vocal music of the 19th and 20th centuries. Editor: Wolfgang Stapelfeldt: "In the second half of the 19th century, greater efforts were made in France to emancipate the ars gallica, that is, music by French composers. 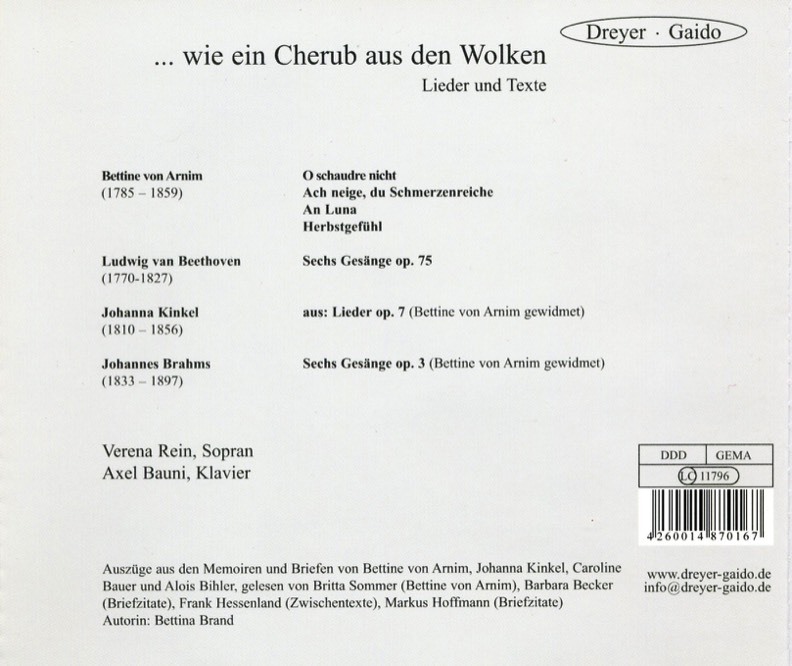 This is illustrated in a most remarkable way in the booklet to a marvellous new CD released on Dreyer-Gaido. 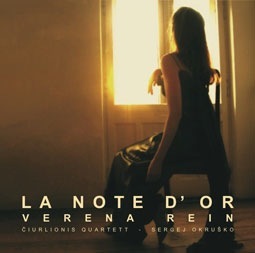 Entitled: La Note d'Or, the CD features lieder by Ernest Chausson, Guillaume Lekeu and Gabriel Fauré, as well as the "String Quartet in F Major" by Maurice Ravel. (…) Gabriel Fauré composed his cycle "La Bonne Chanson" between 1882 and 1894 to texts by the well-known poet Paul Verlaine, who celebrated his love for Mathilde Mauté de Fleuville in these poems. Fauré, however, omitted 12 of the 21 poems to avoid the cycle's negative and gloomy atmosphere. 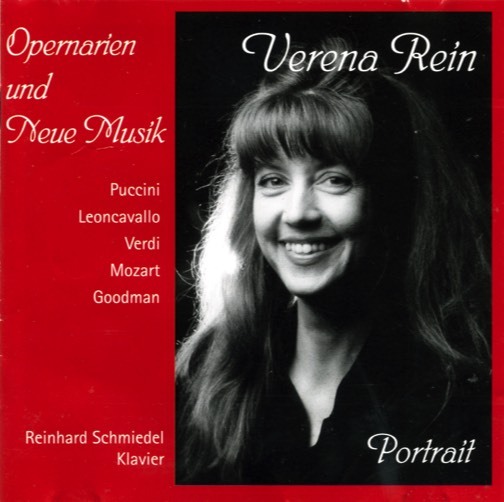 The result is an idealised yet glorious image of love, which soprano Verena Rein is now going to grace us with." 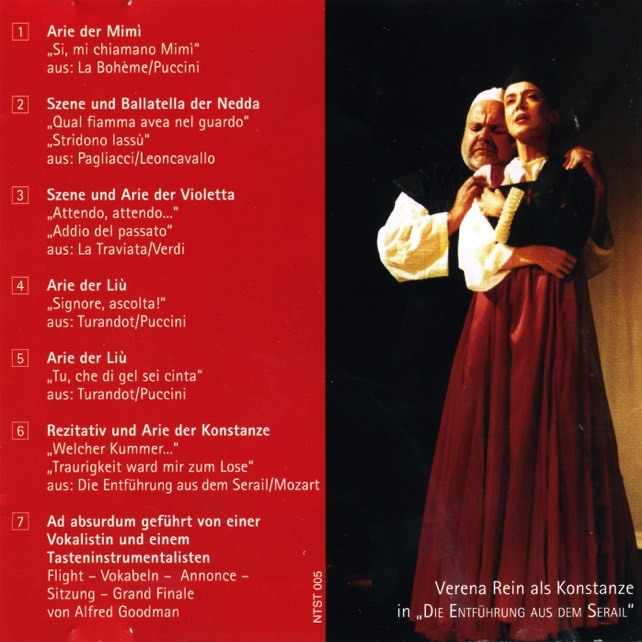 29 December 2006 · CD review in "Klassik heute". 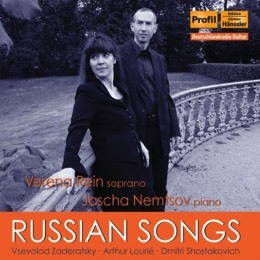 Excerpt: "(…) Soprano Verena Rein, with sensitive accompaniment by pianist Sergej Okrusko and the Čiurlionis Quartet, performs the lieder with great passion and a penchant for the dramatic, rather than with the distance and restraint we have come to expect from most French interpreters. While stylistically perhaps unorthodox, this performance is convincing all the same, thanks to the artistic seriousness and vigour, and, not least, the singer's vocal prowess." December 28, 2006 · "La Note d'Or" is recommended on "Klassika". Excerpt: "(…) Soprano Verena Rein, the Lithuanian Čiurlionis Quartet and Ukrainian pianist Sergej Okrusko present a recording displaying these very characteristics of French song with verve and passion. 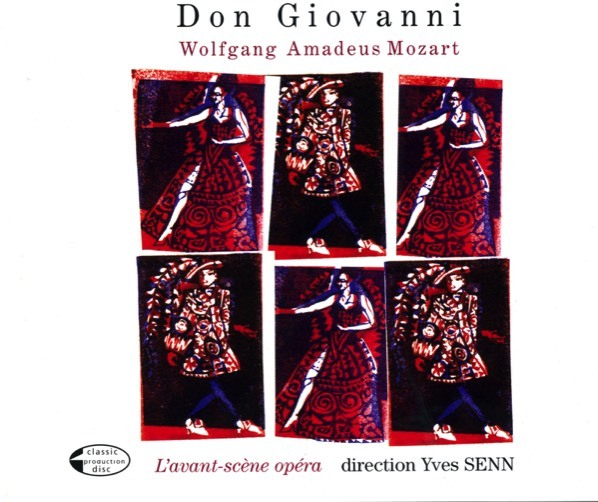 (…) The excellent sound quality of the recording certainly matches this superb performance." On November 21, 2006, "La Note d'Or" was presented and recommended on Deutschlandradio Kultur : "(…) The singer elegantly displays a genuine feel for the songs' sensitive, eccentric poetry. 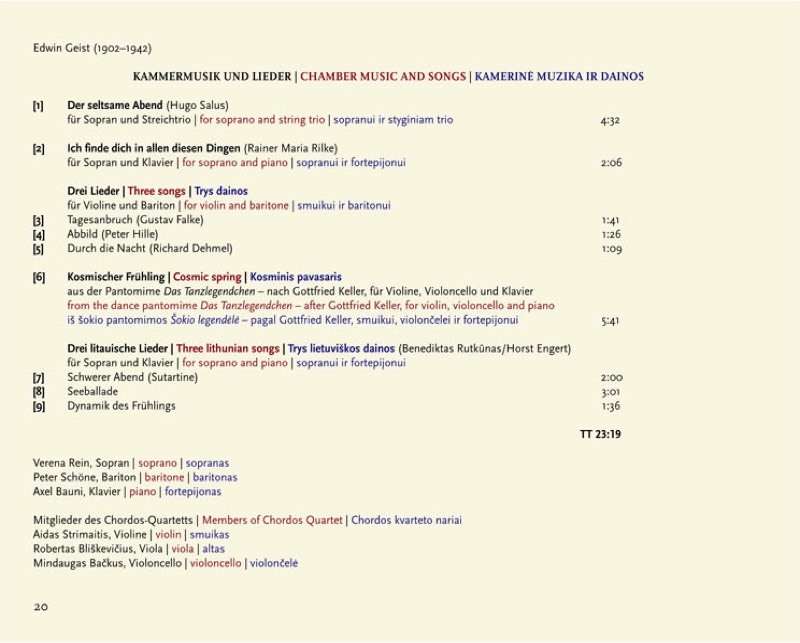 (…)" "(…) One can hear the Čiurlionis Quartet perform with delightful delicacy (…)"
The original Russian texts (pdf) of the songs you can download here. 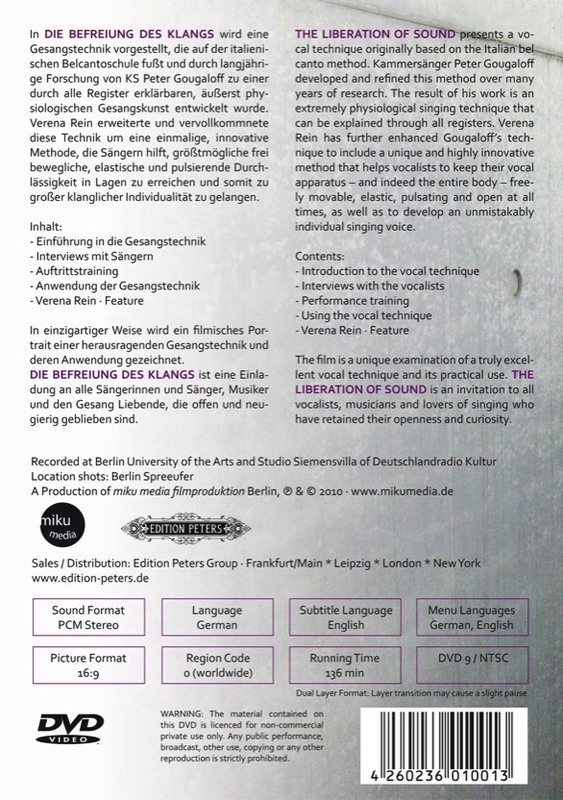 The English and German translation you can find in the booklet. RUSSIAN SONGS received very good reviews in the magazine FonoForum , at ResMusica (Link) (Paris, France), in the Neue Musikzeitung and at concertonet.com (Link) (France). 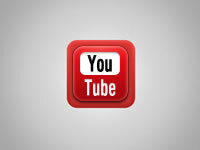 For further information please visit the websites miku media filmproduktion (link) and Verena Rein Masterclasses (link). Since its release on DVD October 2010, the film THE LIBERATION OF SOUND by Verena Rein has been tipped for success. 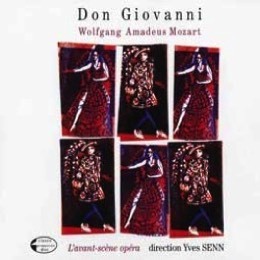 Highly praised by the professional press and singers alike, garnering much attention on radio and television, it fills a large gap in the field of classical singing. 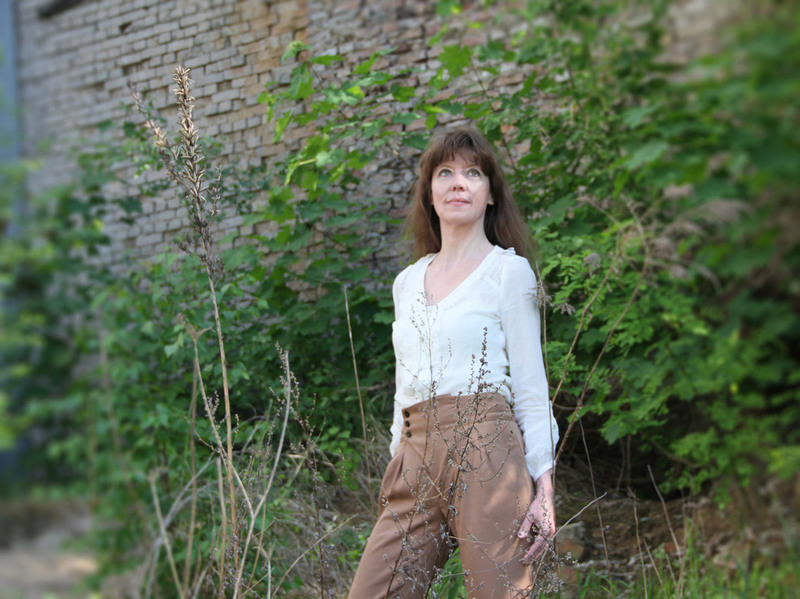 THE LIBERATION OF SOUND presents a vocal technique originally based on the Italian bel canto method. Kammersänger Peter Gougaloff developed and refined this method over many years of research. The result of his work is an extremly physiological singing technique that can be explained through all registers. Verena Rein has further enhanced Gougaloff’s technique to include a unique and highly innovative method that helps vocalists to keep their vocal apparatus - and indeed the entire body - freely movable, elastic, pulsating and open at all times, as well as to develop an unmistakably individual singing voice. 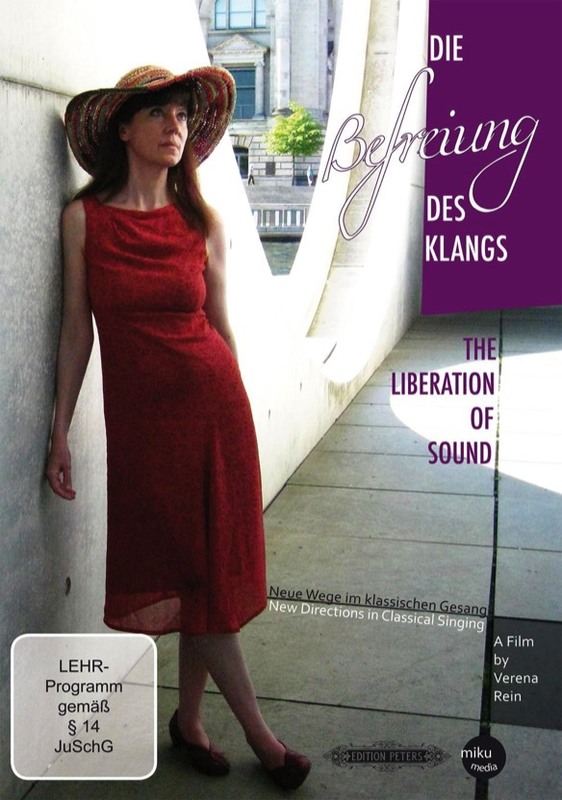 Many new approaches to classical vocal technique are illuminated, traditional and unquestioned taboos are counteracted. ... wie ein Cherub aus den Wolken. Hommage an Bettine von Arnim. 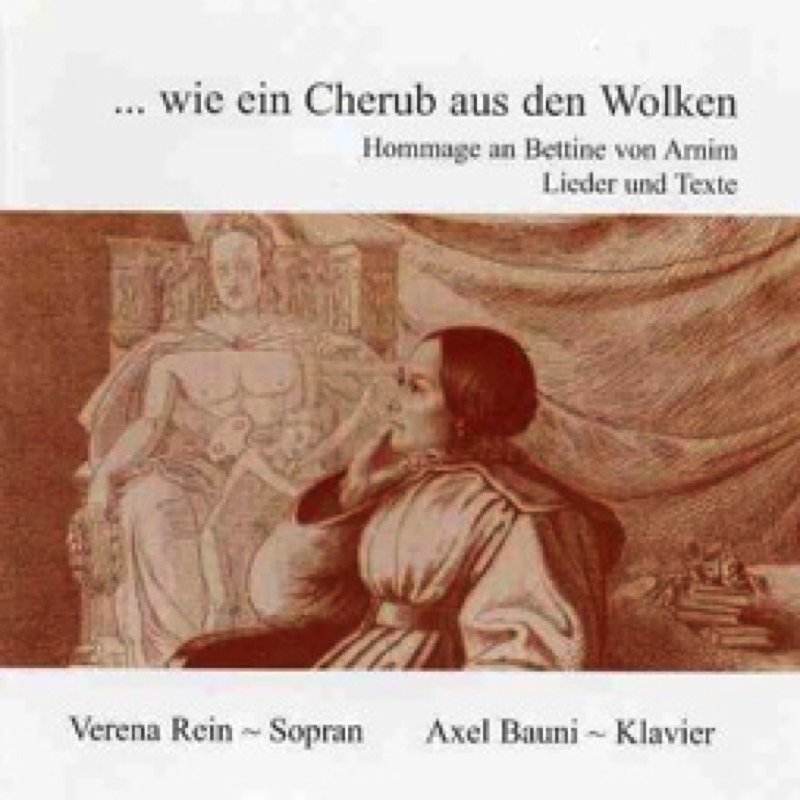 Verena Rein (soprano), Axel Bauni (piano). 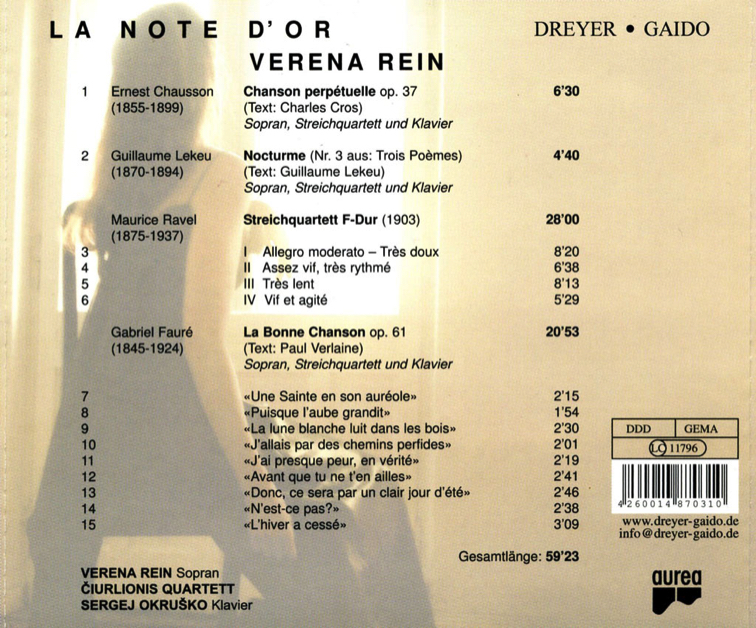 Dreyer-Gaido (released: October 2003). Bettine von Arnim entered history mainly by maintaining the most distinguished literary salon in early 19th century Berlin. What is much less known, however, is that Arnim, née Brentano, was not only an ingenious communicator among the educated elite of her time, but also tried her hand in sculpturing, writing and setting poetry to music. Originally produced for DeutschlandRadio, the text/music programme presents, not least, song rarities by Bettine and her contemporary Johanna Kinkel, demonstrating once again the versatile talent of a woman who also exchanged correspondence with Beethoven, Clara and Robert Schumann, Brahms and Liszt, among others." 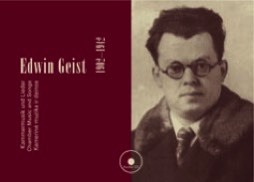 Published by Potsdamer Bibliothek östliches Europa, Musik. 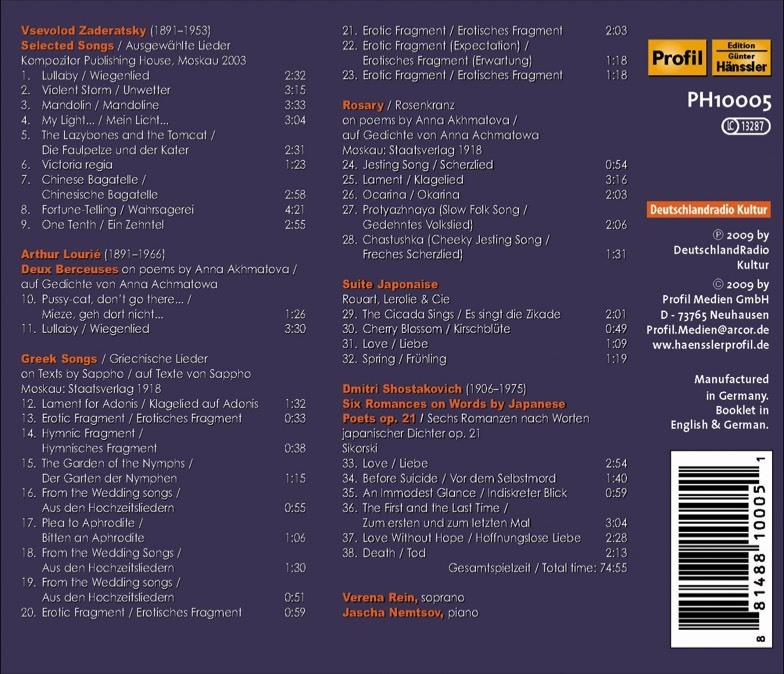 With the CD comes a 20-page booklet in German, English and Lithuanian. 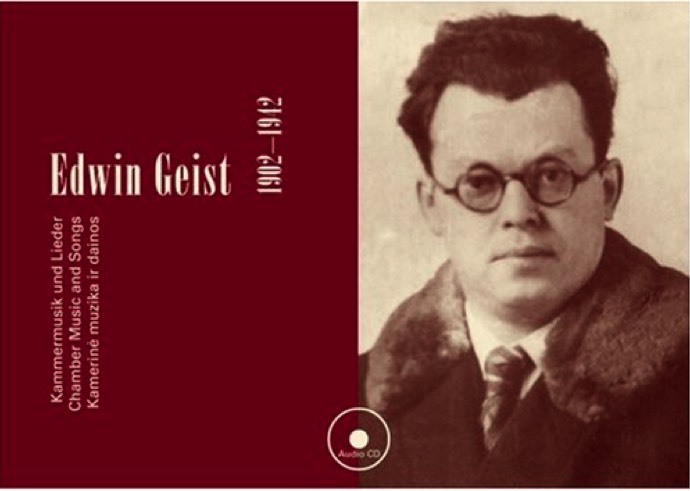 You can find more information about the recording and the composer Edwin Geist on the website of the International Edwin Geist Society (Link). 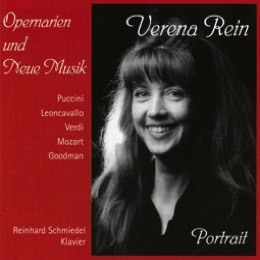 Verena Rein portraying "Donna Elvira"